Jan. 25 (NBD) -- China's top three cryptocurrency mining firms Bitmain, Canaan Creative and Ebang International hit a brick wall on the way of listing in Hong Kong, as their business models are questioned. The three giants have submitted the prospectuses last year, but the filing of Canaan Creative has been removed from the application proof list on Hong Kong Stock Exchange. A person familiar with matter revealed that when Canaan Creative filed for initial public offering (IPO) in Hong Kong, the stock exchange hesitated to give the nod to such bitcoin mining equipment manufacturers. The wild swings in cryptocurrency market in 2018 particularly made the bourse more cautious about the approval. The profits minning companies gained are closely tied with to cryptocurrencies, but the regulations of the market haven't been specified and cryptocurrency business could be outlawed and cracked down, the person noted. Charles Li, chief executive at Hong Kong Exchanges and Clearing (HKEX), addressed Wednesday at the World Economic Forum in Davos, Switzerland, minners are incompatible with the principle of HKEX. Li indirectly responded that the listing a company in Hong Kong depends on whether the business model was appropriate. "If a company has made billions of dollars through business A but suddenly wants to run business B without showing any performance, or says business B is better, then I do not think business A will be sustainable," said him. Bitmain, known as the world's largest bitcoin mining company, reaped considerable profits from mining business in the past four years. Its revenue for the first six months of 2018 registered 2.85 billion U.S. dollars, with the profits hitting 742.7 million U.S. dollars, representing a sheer rise of 794.8 percent compared to 83 million U.S. dollars for the same period of 2017. 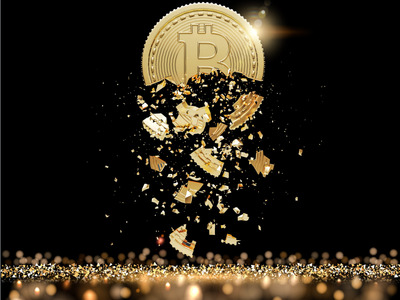 However, the downtrend of the cryptocurrency prices and tightened regulations are believed to put the profitability of the mining business model in question. To prove the sustainability of its business, Bitmain announced it is developing new artificial intelligence (AI) chips and claimed to be a "strong challenger in the AI ​​chip industry", possibly making it able to compete with tech titans such as NVIDIA and Google. It is noted that the person in charge of public relations at Bitmain denied the rumor that the company is turning toward the AI sector. While no listing seems to be passed in Hong Kong, mining hardware manufacturer Canaan Creative is reportedly looking to complete the process in New York. The company refused to make a comment on this issue, said news outlet STCN.